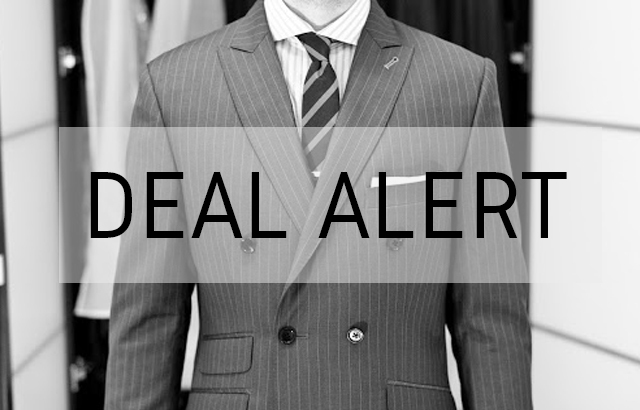 Three Days Only: Save up to $798 on Indochino Premium Suits! Is it Black Friday already? You are not going to get a break. Indochino is out there, set to win you over with yet another deal. It's hard keeping track of all the coupons floating around and changing on a weekly basis, so if you want to make sure you get the best out of your Indochino suit purchase, head over to my Indochino Coupon page and check which coupon fits best for your needs. Right now a new deal was added, valid only until August 6th, 2016. This time, it's a deal on Premium Suits (you remember, top fabrics!) and it also includes suits that are part of the recently introduced Indochino Fall 2016 Collection (more about it here). So what's the deal? You can get two custom Indochino Premium Suits for $800. Correct, that's a lot of money by itself, but you also save a lot - up to $798. 50% off! One day only: Up to 60% off everything!